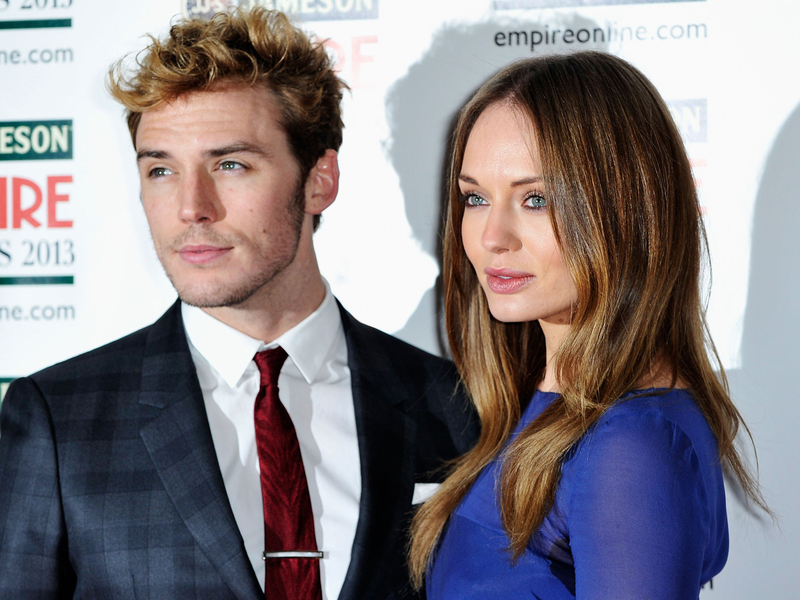 It's a big year both professionally and personally for actor Sam Claflin as he not only landed the highly coveted role of Finnick in "The Hunger Games: Catching Fire" film, but he also quietly married his longtime love Laura Haddock. After a year and a half engagement, an Instagram photo surfaced of the two 27-year-old actors slicing their wedding cake with a caption that read: "SAM AND LAURA ARE MARRIED #samclaflin #sam #claflin #finnick #laurahaddock #laura #haddock #claffer #marriage #wedding #love #couple"
In a 2012 interview, Claflin told Yahoo! News of his now wife, "She's my female counterpart is the best way to describe her. She is my mum. ...She reminds me of my mum so much which I think -- a guy will know, right? It's important. Your mum knows like everything." He added of first meeting her, "I called my agent, I said, 'Mate, I am in love.' He's like, 'How did the audition go, mate?' I was like, 'No, no, you don't understand. I have just met the woman I want to marry.'" Leave your congratulatory messages for Claflin and Haddock in the comments.